Want to write a book fast? Want compose your manuscript easily? Want to stop procrastinating and start writing? Want to promote yourself and your book? Blogging a book provides one of the fastest and easiest ways to write a book today. In just months you can have a complete manuscript ready for editing and design if you are diligent about writing and publishing your posts. Plus, in the process, you build author platform and possible attract an agent or a publisher. Everything you need to start blogging a book fast! How to Blog a Book Audio Course! 3 MP3s–1.5 hours–chock full of information about why you should blog a book and how to blog a book. 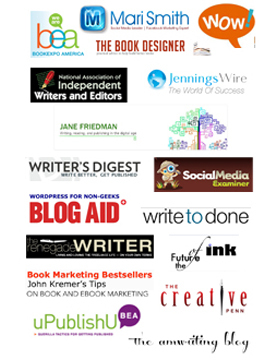 Everything you need to get started blogging your book today! Why you should consider blogging a book. Who should consider blogging a book. What subjects to blog a book about. 10 good reasons to blog your book. How you choose a topic for your blogged book. How you line up resources for your blogged book. How to map out content for your blogged book. How to create a business plan for your blogged book. How a business plan helps you achieve blogged book success–buildt-in readerships or platform. The proposal processa and how to apply it to a blogged book. How to land a publishing deal or prepare for self-publication. The appropriate length of posts. What tone of voice to use. What items to include in posts. AND if offers you 20 blog posts ideas for fiction and nonfiction writers. How do I blog a book or write a book fast? +How do you blog a book? Find out how. Listen to this recording.= Just $34.99! how to blog a book quickly and easily? who can blog a book? why to blog a book? how to evaluate if your book idea should be blogged? how to begin blogging a book? Listen to this 1-hour teleseminar recording (MP3) to learn all the basics of blogging a book.